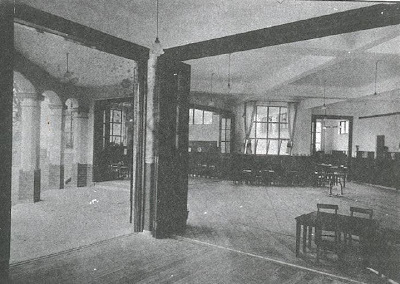 Picture of Myers Kindergarten, taken after 1916 from the National Library Archive. Picture of Myers Kindergarten, taken in 2010 picture from Flickr. 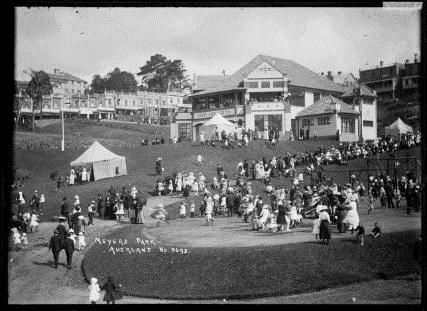 Myers Park, located in central Auckland city opened in 1915 as an early, influential, and significant urban renewal project and was also where a kindergarten and playground were built. The Myers Kindergarten was the Auckland Kindergarten Association’s fourth facility, but soon became its “showpiece”, as it was centrally located, architecturally designed, purpose built and a landmark within Myers Park. 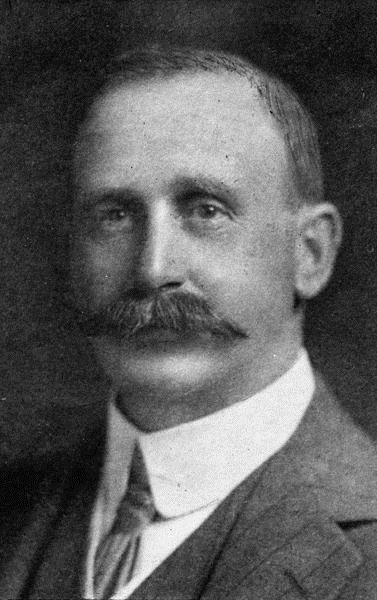 Anene Cusins-Lewer and Julia Gatley wrote a chapter The “Myers Park Experiment” in the book: Designing Modern Childhoods and suggests that the Myers park site reflects the desires at this time to shape, mold, and improve both the urban environment and the young citizens using the facilities through the use of urban design and architecture; in the moral conditioning of children, thus society. 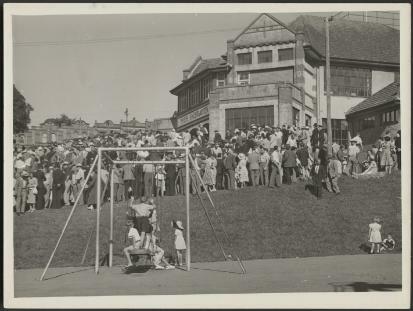 Picture of Crowd gathered outside the Myers Kindergarten building, Myers Park, Auckland, New Zealand. 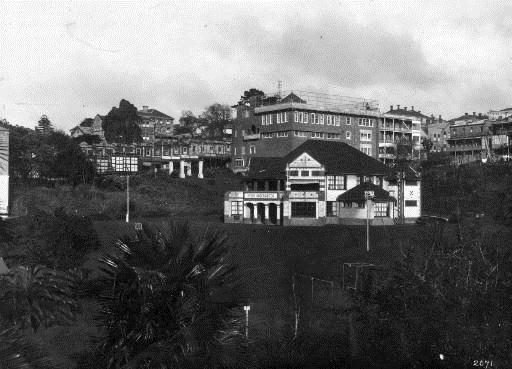 Photographed by an unknown photographer in 1951, from the National Library Archive. 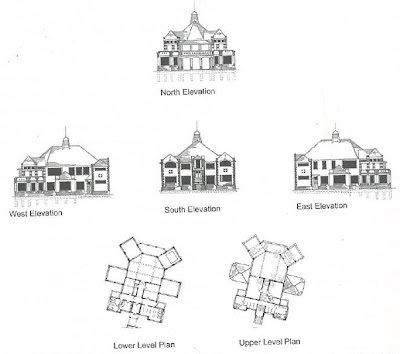 Plans and elevations of the kindergarten building designed by Chitwell and Trevethick, dated May 1915. 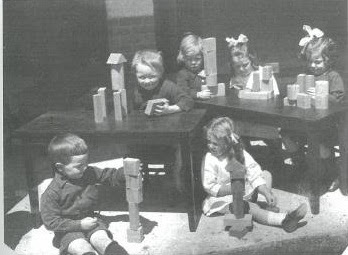 Image from Designing Modern Childhoods p.94. 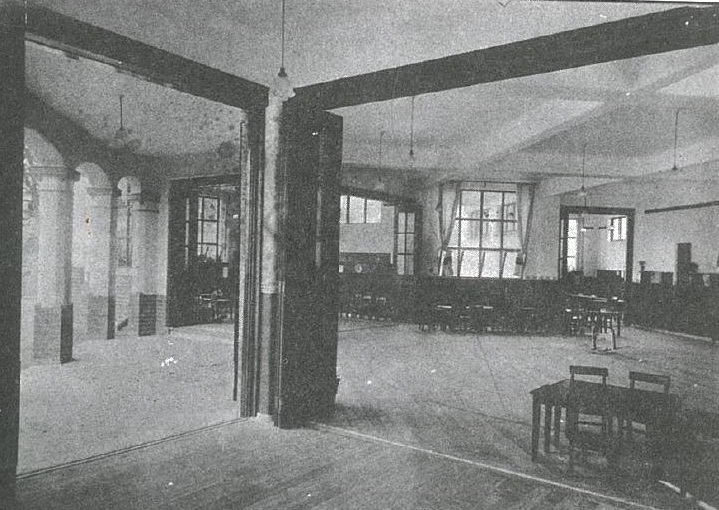 In plan, the kindergarten comprised a large “circle room” girdled by three classrooms, a covered veranda equipped with a sandpit, and a director’s room. The “circle room” was an important feature of the Froebelian programme intended to facilitate the gathering of children in circle formation for group activities. The spatial planning physically fortified the abstract utopian principle of a harmoniously structured social environment. 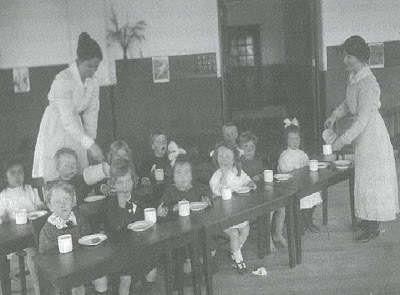 As with the Froebelian “gifts,” the interior fixtures and fittings were intended to stimulate “self-instruction” among the children – the hardware fittings and moveable furniture were intended to help children become self-sufficient in their immediate environment. The metaphor of the child, growing like a plant is seen in the design of the kindergarten with the use of a green and white colour scheme, window plant boxes, externally the colours and textures of the kindergarten building were continued into the park’s pathway surfaces, and flowerbeds were planted at the front of the building.